1. A snow or ice day to a teacher is like winning the lottery---I’m desperate to feel like a winner. 2. It would be nice to get caught up with laundry. 3. Dear Hubby needs help with paperwork for the business he owns. 4. I would be able to get my grades online. 5. A room or two might get cleaned ( or not). 6. I could watch two episodes of Frasier back-to-back between 10 and 11 on the Lifetime channel. 7. A day without squabblers, whiners, and lollygaggers……. 8. 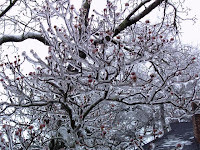 The trees and ground looks absolutely “loverly” crusted over with ice. 9. Watching the Atlanta news crews making any sign of ice (even a crystal or two) into the most major story of the year. 10. Why wouldn’t I want a cozy day stuck inside when it’s so pretty and sparkly and white outside? 12. 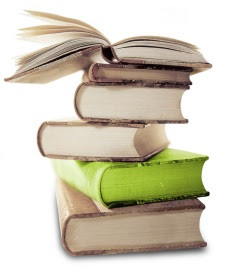 Extra time to read something….anything other than student writing. 13. Time….just the simple gift of time. The 104rd Education Carnival can be found here. The Georgia Carnival will be up for reading pleasure this Friday over at Georgia On My Mind. Submissions are due Thursday by 6 p.m. They can be sent to gamind@mail.com. Hmmmmmm…….I wonder what these words mean? These posters have been showing up all over our campus. Care to take a wild guess? Last week’s Wordless Wednesday is here. The explanation for last week is here. Let Them Read a Book! Recently I posted about Dr. King and a lesson involving a video from my classroom prior to his special day. Elizabeth from More From Elizabeth was one of the commenters to my post. 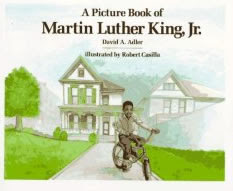 She stated she “learned about Dr. King by reading a book” and wanted to know “what happened to books.” She also commented that she “would have been insulted” if she had been shown an animated video past the first grade. That was the main point of my post……Students had seen the same animated video year after year. I elected not to do that and showed students two video clips that consisted of reinactments as well as real footage from Dr. King’s life. It’s taken me a few days to respond, but I wanted to let Elizabeth know that books are alive and well in my classroom. Georgia fourth graders are required to read at least one million words or twenty-five grade level appropriate books in one year. We require every fourth grader to have a media center book with them at all times. During their reading class students read in small groups with a teacher, they read independently, they listen to books, they read Accelerated Reader books and take computerized assessments that give students feedback on how well they are comprehending what they read. Students reread familiar books to each other to build fluency as well. Yes, Elizabeth, reading is alive and well in my classroom. Before the holidays my homeroom was retested to check comprehension through Dibels and two other assessments our system requires. The results indicated that all but two students had moved up one entire level from their ranking at the beginning of the year. The other two had also made gains, but had not increased an entire level. I have students currently reading at the upper third grade level all the way though an eighth grade level. I’m not surprised about our results with the amount of reading students complete during each school day. Besides the types of reading I mentioned above students are also reading their Social Studies and Science textbooks (though school administrators would rather choke to death than to let anyone know we really use them). My students read supplemental items I add to my Social Studies program to bring in extra content, read through power points I’ve made for each Social Studies lesson, the vocabulary presented through Social Studies and Science are very advanced, and I haven’t even touched on the reading of literature students complete in Language Arts. We read. We read all day. Please understand that many of the students I teach have never left their small town. We have a major mall fifteen minutes away, but many of my students have never been inside it. Their families purchase everything they need from the local Walmart. Atlanta is twenty-five minutes away, but it could be a million miles away for some. Many of my students have never been to any of the Atlanta museums, have never been to Turner field to see a live Braves game, never been on a plane, and think the only shows that come on television are Jerry Springer and American Idol. Most of my students ask to take my books bought with my own money home because they don’t have books of their own. The only magazines many see are People or TV Guide. Many have never been on a vacation and those that have often don’t venture beyond choices like Dollywood, Gatlinburg, or Georgia’s idea of Mecca….Panama City Beach. Not that those places are bad….I’ve been to all three, but they are somewhat limited in broadening one’s idea of culture. With the advent of testing heavy in the inferencing department many students need images. They aren’t required to simply recall or locate information. Students are now required to evaluate data and then make generalizations in order to arrive at an answer. In order to do this they need reference points to build prior knowledge. Sources like United Streaming are a God-send. Today’s youngster finds it difficult to imagine a classroom where their African American friends weren’t welcome. In classrooms where today’s students know their rights it seems very foreign to them that certain people were excluded from various aspects of society simply because of skin color. Short film clips that show footage of the riots, firehoses, sit-ins, and marches build images in the minds of students. These images serve as anchors that students grab onto as they manipulate new unfamilar material. What if by showing the video clips I gave students a scaffold….knowledge they could stand on to get them to the next place? What if the next place was the media center where they were motivated to look for a book independently concerning Dr. King? What if Dr. King’s image was clearer in their mind as they read because they had seen the video images of Dr. King preaching, being interviewed on television, and making his “I Have a Dream” speech? What if in the days following my video presentation every biography of Dr. King had been checked out of our media center by a fourth grader? I don’t need to wonder…..that’s what happened. Follow me over to American Presidents Blog where I clue you into to a few presidential ironies that can be inferred through the text of the Kenneth C. Davis wonderul book. *many of the colonies were ready for independence you were right. 1. Taxes…Sugar Act, Stamp Act, Townshend Acts, and the Intolerable Acts…They were one of the main causes of the Revolution. Colonists were upset that the taxes were being imposed by Parliament even though the colonist had no representation in the British lawmaking body. 2. Boston Massacre-reaction mainly due to an increased number of Redcoats in Boston. 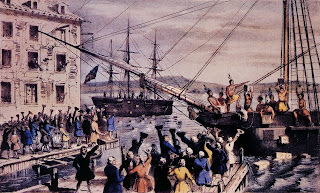 The Redcoats were there because of unrest caused by taxes. 3. George Washington-neither a reaction nor a cause. Governor Dinwiddie of Virginia requested Washington to visit a French fort in the Ohio River Valley and basically ask them to leave the area. They refused with gunfire and the French and Indian War was the result. 4. “No taxation without representation” ---this goes along number 1 above and translates to don’t pass tax laws unless colonists have some input. 5. French and Indian War-Yes, a war can cause a war. The colonies had had a rapid rise in population between 1730 and 1750. Many people were eyeing the Ohio River Valley as a place to settle, however, the French claimed it and began building forts in the area. The French never really settled the area in the same way the British colonies were settled, but had a profitably trade network with Native Americans. 6. Proclamation of 1763-After the French and Indian War the Native Americans weren’t too happy with the idea of having new British neighbors. They resisted any settlement. Pontiac’s Rebellion was one such uprising. King George III did not want to keep dealing with the Native American problem so he drew an imaginary line down the Appalachian Mountains. Colonist could settle on the eastern side of the mountains while the western side would be set aside for Native Americans. British colonists were livid. Why fight for something if they couldn’t live there? 7. Colonist ties to Britain were not that strong anymore. This was a cause. 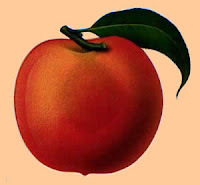 Colonies such as Massachusetts and Virginia had been around since the 1600s while the youngest colony, Georgia, was barely over forty years old in 1775. Colonists in the older colonies were a few generations away from their ancestor’s arrival. Generally, they had no ties to Britain. They were Americans. They argued they should make their own laws since each colony already had its own lawmaking body. This feeling gradually caught on in other colonies. 8. Parliament had a huge debt after the French and Indian War. This is a reaction or effect of the French and Indian War and is the reason why taxes were levied against the colonist. The debt was not only for the war in the colonies, but Britain also fought France in Europe during the same time period. 9. Colonist did not want war-----they wanted a peaceful solution. After Lexington and Concord and Bunker (Breed’s) Hill the Second Continental Congress sent King George a petition where they asked for a peaceful solution. It was called the Olive Branch petition. King George answered the petition by sending more Redcoats to the colonies. 10. Sons and Daughters of Liberty-The members of these groups formed in reaction to the tax laws in order to devise strategies to fight the tax laws. Over time there were groups in many of the colonies. We worked through our brainstorm list on Friday and identified the three causes. We used a three column chart and went through the brainstorm list classifying each item under one of the causes. Students will use the three column chart to begin their body paragraphs soon. We also worked on an interesting way to hook our reader in the introduction. The assignment calls for students to use a question to introduce their papers. Students will use most of our 90 minute Language Arts time to craft their body paragraphs tomorrow. I have several students each year that show up at my door sometimes after school and sometimes during school to say hello. I’m always pleased they take time from their busy middle and high school lives to walk to the end of the long hallway where my classroom sits to say hello. It always amazes me how much they have grown and how articulate many sound as they tell me about their classes, their current teachers, and their future plans. This past week I received a nice email from the education teacher at the technical highschool. She was informing me that one of her education students had requested me for her internship and they would be arriving to discuss the program with me that very afternoon. I’ve had high school students before and have enjoyed the program very much. I think it’s fantastic that young people who plan to go into education receive opportunities to work in classrooms prior to college. The experience can give them the information they need about continuing with their education plans, or it can prompt them to look for another field of study. My former student, Miss Hensley, arrived with her teacher and we had a quick meet and greet. It will be hard to refer to sweet Laura as Miss Hensley to the kids because she will always be sweet Laura to me. Miss Hensley will be in my classroom during the last two hours of the day when I have my homeroom for Language Arts. I could use an extra set of hands with the group, and by her second day she had picked up on that fact. She will be with me for the remainder of the year. We’ve already had a nice time remembering many of the interesting things that happened the year she was in my class. She asked if I was still doing Shakespeare with students and I told her she could help me teach Hamlet and A Midsummer’s Night Dream this time instead of simply taking a part. She remembered we watched Hamlet with Mel Gibson after we had read a more simpler version of the play (no, students did not watch the scene where the relationship between Hamlet and his mother, Glenn Close, takes a strange turn). Miss Hensley also remembered she took on the role of Puck in Midsummer. My students enjoyed locating Laura’s picture in the back of the classroom where I have each and every class group I’ve taught displayed on the wall. Miss Hensley enjoyed looking at the pictures as well. She informed me about some of the kids….who had dropped out, who played ball, etc. Miss Hensley told me she still had my letter. She was referring to the letter I give every student at the end of the year. I was pleased to know she had held onto my letter for the last seven years. I posted earlier about my end-of-the-letter here. Miss Hensley’s arrival has created an interesting dynamic in my classroom…..the former student is now a teacher-in-training. I told her I would really love for her to journal her experience. Every student leaves a classroom with certain impressions of his or her teacher. Miss Hensley is returning to my room with those same impressions made when she was ten and eleven. Through the course of our time together as mentor and teacher-in-training she is going to discover that many of her impressions of me were wrong….some to the good and some to the bad. She seems hesitant about an extra assignment, but I think it would be a very interesting study. One of the things I enjoy most about a study of history is how things connect. Can you believe the artist of this painting can be connected to a president, a cabinet member, and the dollar bill you might have in your pocket? 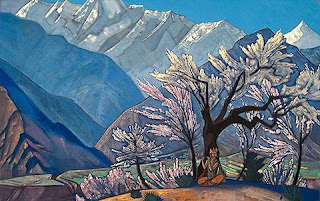 This week’s Wordless Wednesday, found here, is a painting by Nicholas Roerich, a Russian artist and mystic. You can see various Roerich paintings here. 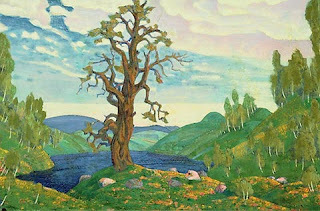 Roerich was nominated for the Nobel Peace Prize in 1929 and again in 1935 due to his efforts to create the Pax Cultura or “Red Cross” of art and culture. He was also involved with efforts to obtain signatures to the Roerich Pact in 1935 by members of the Pan-American Union. The Pax Cultura and the Roerich Pact were based on the idea that various institutions including museums, historic monuments, and scientific institutions should be protected during times of peace and war. They would be identified the Banner of Peace which bears the emblem of the Pax Cultura. Roerich had spent years traveling through Tibet and Nepal searching for the lost city of Shambhala the home of the Ascended Masters. If you aren’t familiar with the Masters then it’s possible you know them by their other name…..Secret Chiefs. What about the Great White Brotherhood? Have you heard of them? Supposedly the Ascended Masters are behind the formation of groups such as the Freemasons, Rosicrucians, and the Theosophical Society. Later Roerich delivered the “Chintamani Stone” to Europe during the formation of the League of Nations stating he was acting on behalf of the Masters. The “Chintamani Stone” was thought to be part of a meterorite with magical properties. Apparently the stone is sent to locations where important events that could alter humanity will take place and then returned when the events are over. Sources state that the Chintamani Stone was returned to Tibet one the League failed. To understand Roerich’s connection to American History we need to turn to Secretary of Agriculture Henry Wallace who became President Franklin D. Roosevelt’s Vice-President from 1940-1944. Wallace and Roerich met up through the Theosophical Society, and for a time Wallace became very attached to Roerich. He even took to penning letters to Roerich that began, “Dear Guru”. At this point the story becomes the darling of every Freemason conspiracy theory supporter across the United States. You see it was in 1934 while still serving as Agriculture Secretary that Wallace proposed a new coin that would include the obverse and reverse of the Great Seal of the United States. FDR liked the proposal but decided to place both sides of the Great Seal on the one dollar bill instead. They remain there today. Many conspiracy theorists believe it was due to Roerich’s influence that Wallace, a Freemason, approached FDR, who also happened to be a Freemason. Today we are amazed at how dirty politics has become. It seems that every election turns into a slug fest titled “how can we get this guy?” It seems that this type of politics is nothing new…. During the 1940 election Republicans threatened to make Wallace’s letters to Roerich public. 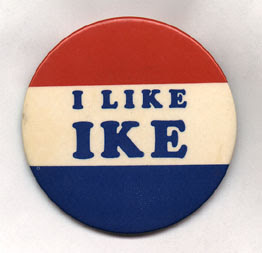 They relented, however, when the Democrats countered with threats of making Wendell Wilkie’s extra-marital affair public. Wallace went on to be Vice President and ran for president in his own right during the election of 1948 as the nominee for the Progressive Party. By this time Wallace was no longer writing his guru, however, I wonder if Wallace had been elected would the “Chintamani Stone” been delivered to the White House? 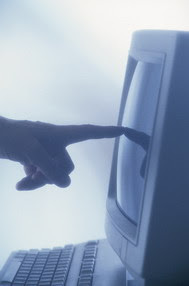 (A) Analyze your topic----what is it you are supposed to write about and how? Decide if the writing should explain, discuss, state an opinion, or compare and contrast. (C) Choose the items that fit your topic and highlight them. We analyzed our topic: Write a five paragraph essay regarding the causes of the American Revolution. Begin your essay with a question. Students looked back at the Georgia Standards for our unit and decided since the standard said they were to "discuss" and "explain" that would be the appropriate style of writing for this particular essay. We brainstormed our topic. I was so proud of them. Every student contributed and they simply amazed me with the items they had retained. As someone suggested an item many were already analyzing the list decided that some of the things we were listing probably wouldn’t fit while others were reactions or effects. I reminded them we would organize our list later. Here are 13 items from our brainstorm list concerning the causes of the American Revolution. Can you determine which items are actual causes and which items are reactions or effects? 2. Boston Massacre----snowballs, yelling, John Adams represented the British in court. Was it really a “massacre”? 7. Massachusetts/Virginia had had colonists for a long time….Georgia still a “baby” colony People who had had family here the longest didn’t feel tied to Britain anymore. It was pure bliss to let students give this back to me on their own. I’m so proud of them. Now….Can you tell me which items are the causes and which items are effects or reactions? Go visit The Education Wonks for the latest education news and views across the known blogging world. The upcoming presidential race, merit pay, and a never-ending stream of paperwork are just some of the topics. Go on over and join the conversation. There was no explanation for last week’s wordless, but here is the explanation for the wordless of the Queen Victoria painting here in case you missed it. Lately I’ve been concerned about classroom interruptions and their impact on learning. I’m wondering if these interruptions are having any real bearing on the scores of “those” tests that are looming right around the corner. I try to stay as postive as I possibly can around here, but it seems that in my corner of the education world the interruptions are becoming more frequent in number and it’s becoming extremely frustrating….mainly because I have no control over many of these situations. Here are just some of the interruptions regarding the teaching and learning time in my classroom over the last two days…..
*One chair flew across the room yesterday as I had the audacity to ask a young man to read. I know…..we all know the statistics that many of our behavior problems stem from children classified as special education. This young man is not under that umbrella. In fact, he is one of the brightest students I have and has so much potential. However, he is my biggest baby and usually gets his way by pouting, crying, and pulling his coat up over his head. Sometimes he takes to sitting in the middle of the room during a lesson thinking I’ll give in and let him go to the media center or any other assortment of places he wants to visit to avoid what is going on in the classroom. Luckily I’ve trained the students to ignore pouty boy and eventually he gives up and joins in, but it can still be distracting. *Last Friday within one hour I had six students check out. I was teaching a crucial lesson regarding five paragraph essays. I had already put the lesson off two days because of other afternoon interruptions or a high number of folks missing-in-action due to absent students, in-school suspension, or any other assorted reasons. For a few minutes during class I was interrupted by the intercom every other sentence. Students were being called to check out, students were being called to the office for medication, to visit the counselor, or for other reasons. *Then there are the small annoying interruptions. Assorted students knocking on my door dragging coats, hats, and mittens asking, “Does this belong to any of your kids?” I don’t send my students on these types of forays. If a coat if left in my room I have a student hang it on one the coat hooks. Believe me, the owner will track it down. They always do. *A new student arrives….I stop to introduce myself to the parent….chaos erupts. *A student on our team has had a behavior issue in another classroom and is being sent to in-school suspension. I have to stop to gather assignments for the student. Chaos erupts. *Today, during group time in Language Arts things are going great….too great if you know what I mean. Students are on task and I’m able to meet with several to discuss their last test result and to set some goals with them. Suddenly my accelerated group bursts through the door announcing they have been sent back to the room (they meet with the gifted teacher on Tuesdays) early. Early? Forty-five minutes is not early. It is a disaster. Suddenly I had to plug them into different activities and everyone’s rythm was off. *Beginning tomorrow my second period social studies class won’t be meeting for the remainder of the week. Students will be attending a three-day seminar in the media center…..yes, you read that right….three class periods. The topic is Good Touch-Bad Touch, and before you think it let me state right here I’m all for the topic. It is a valid counseling session for the kids, but three class periods in crunch time leading up to high-stakes testing? Couldn’t this be scheduled for August or even May? No offense to the staff members who are given the task to schedule these things....sometimes they are at the mercy of others, however, we are mid-point in our look at the American Revolution. The other history teacher and I must become very flexible in order to add in our history content into an already packed language arts time. Two classess are disrupted instead of one. *In the middle of a discussion about the Battle of Bunker Hill (Breed’s Hill for us in the know) a student who is on the other team waltzed into my room with several bags of stuff without knocking. With no acknowledgement to me she made the rounds to several girls and giggled and carried on as she presented each little friend with a going-away gift. No…my students weren’t going away. The girl who interrupted my lesson had supposedly already gone away. She had withdrawn from our school three days before. 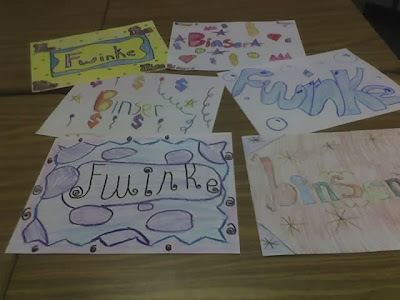 She made the same rounds to each fourth grade room and interrupted each lesson in the same way. When I inquired with the office about her “visit” I was told she did have permission to come down to our hallway, but the person who allowed her to come did not realize she was bringing gifts to students. They thought she was just going to her homeroom teacher. Gee…….weren’t the twelve gift bags in her arms a clue?! Of course, my lesson was over. All the kids could think about was what was in the bags. So, what kinds of interruptions are you experiencing? Do you think they have a negative effect on learning? Do you think they can have an impact on those all important test scores? The new Blogger moved many of us out of our comfort zones and forced us to do some blogging things differently. I hate change. I love my comfort zone. I haven’t switched History Is Elementary over to the new blogger, yet. 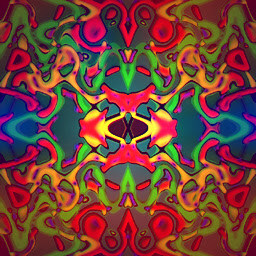 I did, however, set up Georgia On My Mind in the new Blogger and I have found it very easy to use. Hopefully the process for this site will begin in February. Take this as a heads up that some changes are underway…..I just hope I don’t loose things in the process. As I’ve branched out a bit and taken a gander at homeschool blogs, mommie blogs, political blogs, and religious blogs I noticed many people had the collapsible blog rolls. I thought they were really “neat-o” (excuse me, while I reveal my 1970s mentality). I decided to take the time to cut and paste code and move each blogroll into a collapsible program. It took one entire afternoon. Previously I had spent another afternoon organizing my links into various groups. Well, no offense to the particular folks who wrote the code which enables a blogroll to collapse…it’s a wonderful thing I’m sure for most people, but as my post title states-----out of sight…out of mind. Blog names that stare out at me as I check to see if something posted correctly prompt me to go and and visit. It took a few weeks but slowly it dawned on me that I hadn’t visited several people in several days…not necessarily because I was too busy, but because I had lost my prompt. My long, long list of links served as a prompt. If I haven't visited you in awhile, I'm sorry. I'll be by sometime this week. Look for my long, long list of links to reappear shortly. History lovers, educators, and folks who like to travel should run right on over to The Educational Tour Marm, a brand new spot on the ‘net. The Tour Marm has entertained readers for several weeks here at History Is Elementary by knowing scads and scads of information about each and every Wordless Wednesday I’ve posted. I’ve really had to work hard to figure out ways to challenge her. Now she will entertain us with her vast knowledge at her own site. Currently she has an interesting post titled Figure It Out Friday. Can you relate the two pictures? She also links to my Internet Challenge regarding the lost Wyeth painting. Thanks Tour Marm for doing your part. Hey, have YOU sent your email to five people yet asking them to forward it to five more? Finally, she relates her humorous adventure in choosing a name for her site. It can be difficult these days with so many good names already chosen or highjacked. Recently I wanted to set up a spot just for me and my own private musings….you know….undercover. I had a few names in mind and began to check on them. They were all taken. When I checked further the majority of them had been chosen way back in 2004 or 2005, one entry had been made and then the writer had stopped. Come on Blogger…..if someone hasn’t posted in two years shut it down and put the blogname back into play. But I digress…I’ll save my rantings for another day. 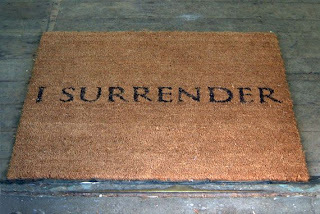 Right now you have somewhere else to go, and I'm keeping you. Now, comb your hair, wash your hands, and go on over and introduce yourself to the new marm in town! The painting presented here is John Trumbull’s Declaration of Independence currently housed in the U.S. Capitol. Many believe the painting/mural depicts the signing of the Declaration, however, notice the group of five men standing before the main table in the room. These five men---Thomas Jefferson, John Adams, Benjamin Franklin, Robert Livingston, and Roger Sherman---are known as the Committee of Five. Their job was to draft a resolution in reaction to Richard Henry Lee’s call for independence. Though Thomas Jefferson was the main author of the declaration all of the members of the committe e participated in the revision process. Benjamin Franklin made over 40 edits alone. 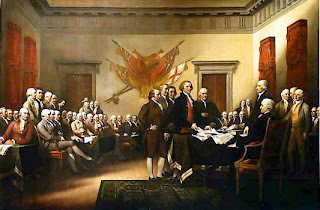 The Trumbull painting depicts the Committee of Five presenting the final draft of the Declaration of Independence for the approval of Congress. I always enjoy teaching my students about the Declaration of Independence because they hate to edit their own writing. They think about it a little differently once I show them pictures of the edited copies of Jefferson’s work. 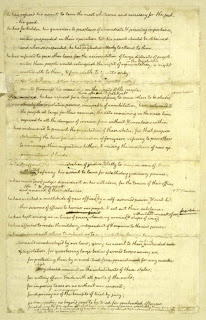 On the evening of July 4th a handwritten draft of the Declaration of Independence was signed by John Hancock and Charles Thompson signifying the document had been adopted by the Congress. It was then taken to the printshop of John Dunlap where 150-200 copies were made. These copies are commonly referred to as Dunlap Broadsides and there are only 25 of them left in existence. The most recent broadside copy that has been found was bought by Norman Lear for $8.1 million. It travelled the country for sometime. Luckily I was able to take my daughter to the Carter Presidential Library where I was able stand in front of the “Lear” copy and read it line by line. The Declaration of Independence was copied again by Mary Katherine Goddard on January 18, 1777 when Congress ordered the document to be more widely distributed. The Goddard copies included all of the signatures instead of just two. Another original copy of the Declaration of Independence has been found! What do cupcakes, deep dark secrets, Paris Hilton, and the major and minor leagues have in common? Italian art, appreciating our soldiers, and the simple life of the church? What about public libraries and a reason to celebrate Civil Rights this past week that doesn't involve Dr. King? What do all these things have in common? Why the Georgia Carnival, of course! You can view the second edition of the Georgia carnival over at Georgia On My Mind. Lately I’ve developed a pattern here at History Is Elementary where I post a Wordless Wednesday image and then the next day rolls around for my Thursday Thirteen. Sandwiched somewhere in the middle is an announcement regarding the Education Carnival. Many of you who visit in the middle of the week click through for a few seconds and then leave. My goal is to teach you a little something or sometimes entertain you before you rush off to yet another picture or list. Today I want to give you a reason to click through to the latest education carnival to see what it’s all about. 1. If you don’t have a child in school I’m sure you know at least one child. That is one of the most important reasons I know for you to educate yourself on the issues. 2. As citizens of this great county we all have an interest in the failures, triumphs, and future of education. 3. You might really find a cool website about a topic you like such as math, science, or language arts. You might locate some of the wonderful sites regarding educational research, technology, or education issues. 4. There are many fantastic educators that are regular participants in the carnival and they don’t always post about lesson plans. When not participating in the carnival they post about personal issues, movies, political issues, and many other interesting things. 5. Educate yourself on new trends, new strategies, and new issues that are at the forefront of education today….some that could make or break the future of education. 6. Find out what really goes on in classrooms across the nation. It isn’t what YOU remember…. 7. Understand that we have terrific forum for discussion here that provides opportunities for ALL stakeholders in education to particpate in fluid conversations about what we can do to improve education. 8. Education has become a political football. Don’t let a politician win your vote simply because you aren’t up on all sides of an educational issue. A simple click through can give you a new perspective. 9. Speaking of perspectives you’ll discover that educators don’t always stick together. We differ on many issues, but we debate in a somewhat respectful manner. 10. Recently Jay Matthews, a columnist at the Washington Post, stated in a column that educators have a terrific venue to "advance taxpayer's understanding of educational issues". I couldn't agree more. 11. You’ll find a warm, supportive group of people. 12. You might actually pick up on something that could help your child in a particular subject. 13. You’ll discover that some educators don’t attempt to make everything seem wonderful. They tell it like is…..warts and all including a rant here and there. You find the newest edition of the education carnival here. Choose a topic that interests you and get involved in the conversation! Head on over to his spot here to read the latest education posts across the blogosphere. It took several weeks but Jay Matthews, Washington Post columnist, and Walt Gardner, retired teacher and professional letter-to-the-editor guy, finally came up with some opinions regarding education blogs. If you need a refresher regarding this you can read my November post here. Apparently Matthews and Gardner have been furiously reading many blogs over the last few weeks and they have finally come up with a list. You can read the column titled Innocents in Blogland here. I was happy to see that all five of the choices I sent to them made it on the list. I’m linking to them here because I want to make sure everyone sees the list. There might someone here you are unaware of. There were two or three I will make sure I check out. I think it’s wonderful that these sites have gotten recognition they deserve. Overall I was pleased with the list; however, I wish it had more frontline teachers on it. I don’t know the criteria Matthews and Gardner used to come up with their list, but perhaps since Mr. Matthews is planning to make this an annual event it is something that could be adjusted. Education isn’t simply about policy, research, and news. Now don’t get riled up and misunderstand me. These sites are needed. They are needed very much. However, there are many fantastic frontline teacher sites out there…some are on the list, but so many more never even get a mention hardly anywhere else other than the education carnival and/or mentions and links from other sites. They are addressing problems in education I rarely see mentioned anywhere else. The problems they mention are the ones we aren’t supposed to talk about it. The problems involving hungry, neglected children, children infested with lice, children who have a bad cold and have coughs so bad they bark like dogs for three months straight. Other problems these teachers “whine” about are discipline problems, truency problems, leadership that talks out of both sides of their mouths, and violence in our school communities. Many times when frontline teachers “whine” about these types of problems they are told “It’s your method of doing things. Change it.” We can’t fix everything by changing methods. Frontline teacher sites…even those that tell us about the “backside” of education are extremely important to our community to get the word out. It’s about the children and what happens on the frontline. In order to make the proper policies and conduct relevant research concerning education we need to pay close attention to those teachers in the classroom even when they vent, rant, and rave. Wade through the emotion and these teachers are identifying real problems in our profession and in the education process. These frontline teachers are just as aware regarding education needs, and they have relevant ideas about improving education. Gardner said "choosing the 10 best blogs out of the 74 I received was far tougher than I anticipated. I selected those that I thought were successful in achieving their stated mission. Because blogs are still in their infancy, it's impossible to know how they will evolve. If they move in the direction of persuasion, rather than pronouncement, they have the potential to advance taxpayer understanding of issues in public education. My hope is that they take advantage of the opportunity to stimulate rational debate through the use of evidence, and shun ad hominem arguments." I’m not sure how I feel about the statement I italicized. The classroom teachers who are part of this vast community tend to more or less say the say things about testing, discipline, student apathy, large bureaucracies where the left hand doesn’t know what the right hand is doing, and other problems as well. I think our community here on the ‘net has a large body of evidence that indicates we have an education crisis. These teachers write about real problems. They are not ad hominem arguments. I invite ANY taxpayer, reporter, or legislator to come and spend a week with me and simply observe, but of course, you and I know that will never happen. The invite is still open though…. Today we honor one of Atlanta’s own…Dr. 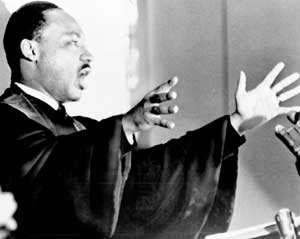 Martin Luther King, Jr. This past Friday my first LA class filed in and many wanted to know about the animated video titled “My Friend Martin”. They wanted to know why they didn’t watch it during homeroom television or why it hadn’t been shown in any of their other classes. “We always see it,” someone stated. I heard others begin to restate the sequence of the video from beginning to end regarding the little boy playing ball and being bullied and told he couldn’t play anymore as if they had memorized it like they do the sequence on their video games. I wearily took a perch on my stool and simply sat until the room was quiet. It took about three minutes. I told students I was aware of the video, and it is a very good source to learn about Dr. King. I told them I was impressed with the sequence of events I had overhead many of them discussing at their tables, but I wanted to question them a little first before we proceeded with class. I asked students, “Dr. King must be very important to have holiday named after him. Why is it that we have this holiday?” After several students told me he was important, and he was smart, he helped to free the slaves, he helped African Americans (the student couldn’t tell me how), and he was friends with the president (the student couldn’t tell me which president) I asked, “What did Dr. King do for a living? How did he make his money?” Not one student knew. I continued, “What city did Dr. King grow up in?” No takers. Finally, a young man said, “We remember him because he was killed.” Several agreed with him. I guess I proved my point. White, black and brown students in my classroom were all in the same boat. They couldn’t really tell me anything about Dr. King. They could tell me he played ball in the movie and that a white mother had told him he couldn’t play with her sons anymore. They could tell me he did well in school. They could tell me he gave speeches. That’s about it. I don’t think the most important thing to remember about Dr. King is that he was assassinated. It’s important, and students should understand what happened, but I want my students to know how he lived. Continually showing the same animated video year after year to celebrate Dr. King’s birthday does not mean students understand who he was and what role he played in Civil Rights. Lessons should be planned in such a way that each year is layered with content that becomes increasingly more challenging as students progress from pre-k through 5th grade (the year in Georgia where Civil Rights is fully explored for the first time). If you haven’t used United Streaming in your classroom, well, what are you waiting for? It takes just minutes to set up an account with your own screen name and password. Searching for videos that fit your content is very easy and you can see whole videos or small segments. I have used small segments and downloaded the links to powerpoints so that when I reach the right moment I simply hit the link and we see a 3, 4, or 5 minute clips that matches exactly what we are talking about. I can set up videos on all of my classroom computers so that students can start the video on their own and watch it as a center-type activity. Videos are easy to preview because I can access my account at home or school. This means that United Streaming can also be used if you need to bone up on any content yourself. Videos can be seen on your classroom computers or if you are very nice to your media specialist and tech guy like I am they will fix it so you can see the videos full screen on your classroom television. I asked students to have a piece of paper out. They know this means they will take notes. I told them we were going to watch two videos regarding Dr. King. Each video was about 14 minutes long. Students were told to take notes but not to get bogged down with dates, exact names, places, etc. They were to focus on things Dr. King did from childhood through adulthood. The two videos we watched were The Boyhood of Martin Luther King, Jr. and American Heroes and Heroines: Dr. Martin Luther King, Jr.
At the end of the second video there was a little 10 question quiz. I told students to write their answers down and we would see how well they did. The questions involved childhood questions, Civil Rights questions, and even wanting to know what prize he won. In both of my language arts classes over 90% of the students got all 10 questions correct. After the second video I told students they had just completed a pre-write for writing. Some had a half-page of notes while others had a whole page or more. I told students their writing assignment would be to write a friendly letter to their parent telling them about the videos and what they had learned concerning Dr. King’s life. During the rest of class they began their rough drafts. We will finish them on Tuesday and complete a final copy that will go home. My childhood is repeating itself. 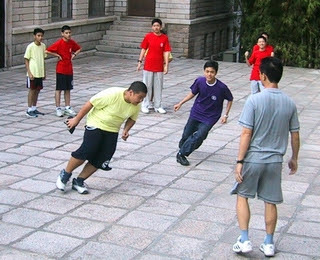 I hated tag when I was in elementary school. I was a little slow and there was always some kid who couldn’t just tag you…he had to tackle you in order to send you reeling into the ground at warp speed. Sometimes I was a little slow to leave the game and durn if I didn’t get tagged more than once by sarcastic little boys. I can only hope the gods that watch over sweet non-athletic girls have exacted their pound of flesh and my tormentors are this very afternoon attempting to haul their fat lazy rear ends up out of their Laz-e-boys to go get another beer as they wallow in debt up to their eyeballs, put up with beligerant kids, and listen to the harange of a nagging, poorly attired wife. No, no….I’m really not bitter. Well, since before the holidays there has been a little event circulating where tagged people must disclose five things about themselves and then tag others. I discovered The Reflective Teacher had tagged me over a week ago and it would seem that thirty-four years hasn’t really made that much difference except in the manner of tagging. Once again I was a little slow in doing my part and I got tagged again today by Michael over at The Information Literacy Land of Confusion. I actually appreciate getting tagged because I had dropped off a little in my commenting over the holidays and it’s nice to know folks still know I’m in the game. So here’s five things about me…..
1. Though I haven’t played seriously since I was in my early 20s I took classical piano lessons from third grade through my Senior year in highschool. My teacher was a member of the National Piano Teacher’s Association or something like that. She was required to present her students each year at the National Playing Auditions where we were judged and therefore she was too. Every year it got harder and harder. When I was in highschool I was constantly practicing for the auditions where I had to play several different movements from classical pieces from Brahams, Purcell, and Mozart from memory. By my senior year I was close to a nervous breakdown and backed out on my teacher. I always felt bad about that. 2. I am not a morning person. I explain this early on to students so their feelings won’t get hurt when I am a little short with them or don’t respond they way they think I might. They know to come in and whisper and get ready for their day without any loud commotion. One year I heard a little boy lean over to the girl next to him and say, “Hey, has she had her Coke yet?” My students understand I have to have my Coke in the morning…..it’s my substitute for coffee. 3. I was the Walmart Teacher of the Year for 2002 in the small town where I teach. This meant so much to me as it was an award voted on by parents and students. 4. I’m actually very shy. I rarely walk up to a group of people even if they are friends without being invited first with a nod or a “hello”. I think sometimes people don’t understand and actually think I’m being uppity or rude. 5. I was an active and overly involved PTA parent for years not only at the school level but at the county and state level as well. I enjoyed it and drive by my son’s elementary school at least once a week with the knowledge that my efforts placed a guard rail between the school and a very busy highway. We really had to fight for that one. I also helped in procuring many of the items on the playground. My paralegal experience helped me complete the incorporation papers for my son’s highschool PTSA since it was a brand new school. There you have it …five things about me. I will do my duty and tag others, but since so many have already played I will tag them by email. Today is the one year anniversary for the first post on this blog. Thanks to every reader and commenter who has made this such an enjoyable journey. I also want to thank everyone who supports this site with links and tidbits in their posts that send folks my way. Which U.S. President Are You Most Like? Go on over to American Presidents and see who I’m most like. This post was updated with new information on Saturday morning. In my home I have a coffee table that Mom and Dad had in their very first house. The table is featured in just about every picture taken of my family room growing up. My son has already claimed the table and, he swears he will keep it safe and pass it along when the time comes. Today the “s” in permanent marker is still on one end of the table where I wondered what would happen IF……I have some of Mom’s jewelry. Mostly the pieces are very simple costume-type items, but they are pieces I remember rummaging through her drawer and then trying them on for size. Now I can wear them and no one tells me I can’t, but the joy of wearing Mom’s jewelry is bittersweet because thre tradeoff is simply too empty to imagine. Isn’t that the way with mothers and daughters? When you finally get to wear the “big girl” jewelry you are surprised to find out the one person you want to see you wear it isn’t there to help you enjoy it. My focus for this week’s Wordless Wednesday is the tiara pictured here. It is known as the “King George III Fringe Tiara”. Sometimes it is referred to as the “Fringe Tiara”. 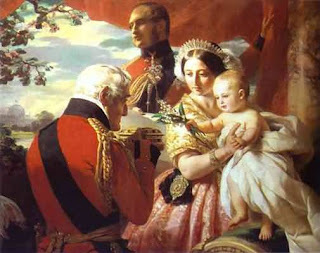 This week’s painting is indeed titled The First of May and shows Prince Albert and Queen Victoria holding Prince Arthur who would one day be the Duke of Connaught. Prince Arthur’s godfather, the Duke of Wellington, is presenting him with a jewel-studded gold box. Notice the tiara Queen Victoria is wearing. It is the same one pictured in this post. This tiara was actually made as a necklace in 1830 from diamonds once belonging to King George III, the British king during the French and Indian War and American Revolution my students are now exploring. The tiara can be worn as a collar type necklace or once mounted on a thin wire it can be worn as a tiara. It is reported that Queen Victoria first wore the tiara to the opera in 1837, and of course, she wore it as Winterhalter painted the image I used for this week’s Wordless Wednesday. Upon Queen Victoria’s death the tiara was willed to the Crown along with several other pieces of jewelry to be worn by all future Queens. 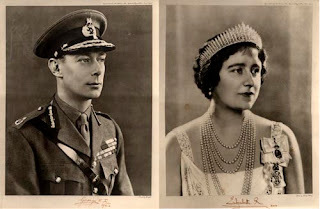 While I did not find any evidence of Queen Alexandra, Queen Victoria’s daughter-in-law, wearing the tiara I located a photograph from the wedding of the future King George V and Mary of Teck showing the daughter of King Edward VII and Queen Alexandra, Princess Louise, wearing the tiara as a necklace. The photograph can be seen here . Once the page loads scroll down past a photo of Queen Alexandra, her mother, Princess Louise and the individual pictures of Queen Alexandra and her mother, the Queen of Denmark. In the individual picture of Princess Louise the fringe tiara is seen around her neck. There is a note next to the photo that states that it was a wedding gift to her from her parents. I am doubting this. It may have been loaned to her for the occaision since it was included in items Queen Victoria willed to the Crown. Queen Mary would be the next to wear it after Queen Alexandra. Leslie Field’s excellent book, The Queen’s Jewels, traces the line of this tiara very well and does not mention it was given to Princess Louise. While I searched and searched for an image of Queen Mary wearing the tiara the only picture I have ever seen is in Leslie Field’s book. In 1937, Queen Mary passed the tiara along to her daughter-in-law Queen Elizabeth. Here is a picture of her wearing the tiara. 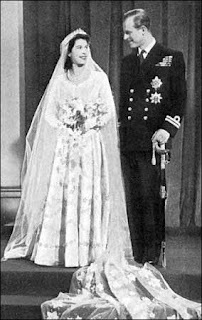 In 1947, Queen Elizabeth loaned the tiara to her daughter Princess Elizabeth to wear as her “something borrowed” at her wedding to Prince Phillip. There is a famous story about how the tiara wire broke as the Princess was dressing for the wedding. The court jeweller was standing by in case of any emergency and immediately took the tiara along with serveral court policemen to a sideroom to fix the tiara. In 1973, Queen Elizabeth was then known as the Queen Mother. 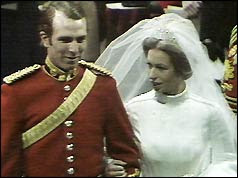 She loaned the fringe tiara to her grandaughter, Princess Anne, for her marriage to Captain Mark Phillips. Every family has items that seem to flow from one generation to another. If we look at family pictures closely enough we can identify items that have stood the test of time. Royal families are no different. Follow the links to learn more about these important Americans who helped our great nation gain indepdence! The Education Carnival Is Up! The 101st Carnival of Education is up over at I Thought a Think. 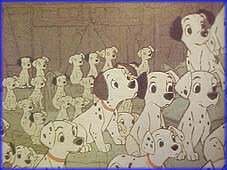 No, there’s not a 101 posts, but it does look very interesting, and there is one cute picture of a dalmation. You might be able to name the painting, the artist, and the subjects, but I don't think anyone will know the direction I'll head this week. Please read this regarding a past image. I need your help. Laying a Foundation in Forty Minutes Flat! My students have been discovering the French and Indian War as our introduction to the American Revolution. If you are uncertain as to why we are studying a war to study a war, well, that’s because the aftermath of the French and Indian War was one of the sparks that caused the shot heard around the world. I began our discussion this week as I do every unit. I passed out study guides that contain the state standards Georgia students are required to meet, text pages, test and quiz dates, unit vocabulary, and key questions. Students read the state standards and underlined the verbs after I reminded them that the standards are the things they should be able to do concerning the American Revolution. In this way I have set the bar for expectations. Students realize at some point I will want them to explain and describe the causes of the American Revolution including how the French and Indian War played a role in the birth of our nation…a perfect opportunity for writing across the curriculum, but that will come later. Our first foray in the content was with a line graph that indicates population in the Thirteen Colonies from 1710 to 1750. I asked students to remind me the steps they should take when reading a line graph and, I asked them to take a minute or two and answer five multiple choice questions printed below the graph. As they worked I walked the room to view their answers. My quick assessment concerned me a bit as many students did not answer the first question correctly regarding the purpose of a line graph. The proper response was “A line graph shows changes over time.” Several students chose the answer historical events. As we went over the answers I allowed students to correct their papers and took advantage of the teachable moment regarding the purpose of a line graph including reminders that obvious answers aren’t always the correct one, and if they use a line graph in science they can’t possibly be used for historical events only. We continued analyzing the graph which shows a steady but moderate increase in population until the year 1730. Beginning that year until 1750 there was a marked increase in the population of the colonies. We discussed the effects of more and more people in the colonies in relation to our own suburb of Atlanta which is growing by leaps and bounds. I asked students, “What do you parents say about all this growth?” One young man responded, “We gotta get out of here!” Time passes, but people stay more or less the same. Through a series questions and discussion we identify the French had intricate trade networks with the Natives who lived in the Ohio River Valley. We compared and contrasted the British goals in North America compared to the French. The British colonist brought their families to the New World and set up towns, churches, and schools. The French came over in much more limited numbers and rarely brought whole families. The Ohio River Valley was the stomping ground of French fur traders who desired profit more than settlements. Forty minutes later after we have had one lost tooth, five sign-outs to the restroom, two intercom interuptions, and one graceful trip over a bookbag strap we finally got to crux of the lesson. Gradually the population of the colonies increased. Colonists wanted additional land to settle on and began looking towards the Ohio River Valley which the French already claimed. The foundation is now set. Now we begin on the walls. So, I’m wondering…..I’m wondering how powerful the Internet can be. I’m wondering if it’s possible through the power of the Internet to locate the whereabouts of a historic painting that could be worth well over a million dollars. I’m wondering if the power of blogging and emails could locate a painting that has not been documented or seen since 1976. This all started when I was attempting to come up with an idea for a post at American Presidents. I try to post there at least every eight to ten days. As I was looking through the official White House site I stumbled upon the official White House Christmas card and an idea for a post was born. I posted Have You Received Your White House Christmas Card? While I was looking at different cards I came across the Nixon card for 1971 and was simply awestruck by it. The image for the 1971 cards was different. 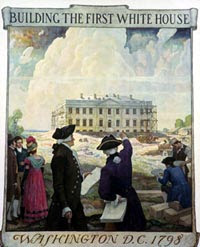 It was a colonial design showing what appreared to be George Washington with a White House under construction. I’d never seen a painting like it, so I quickly researched it and decided to post the image as my Wordless Wednesday and asked commenters to guess about the picture. Then I would later post about the image and how it was used for an official Christmas card. You can see my postings here where I explain more about this unique painting. Firefly over at Bioluminescence left a comment that really intrigued me. She found an article from the year 2,000 which explained how the White House and others were attempting to locate the original painting for this image. It all started in 1930 when the Pennsylvania Railroad, the largest company in the United States until World War I, commissioned the artist, N.C. Wyeth, to complete a series of images for a poster series titled “Building the Nation”. There were supposed to be twelve images but only four were ever known to be completed. Pennsylvania Railroad later became Penn Central and in 1976 was taken over by Conrail. The White House would love to know the whereabouts of the painting as it is a rare image of George Washington with a scaffolded White House. Wyeth is the only known artist to have painted the White House under construction. Estimates state the painting could be worth well over $1 million dollars. Posters of the image do exist, however, the original painting the posters were taken from has been lost. The last time the painting was documented was in an Appendix dated 1976 for the Pennsylvania Railroad listing items that were to be turned over to Conrail. The painting was listed as having minor surface damage. Perhaps someone took the painting home, not realizing what they had, or perhaps it was given as a present at a retirement dinner. While some believe the painting is gone I don’t think so. It’s in an office closet underneath things someone thinks is a bunch of junk. It’s under someone’s bed with all of “Granddad’s stuff” he had when he worked for the railroad. Maybe it’s hanging unceremoniously in someone’s attic. I need your help to get the word out. Copy this post and put it in an email and send to as many people as you can and ask them to do the same. Place a post on your blog or website. Perhaps one of your readers knows someone who worked for Pennsylvania Railroad or Conrail and knows several other people who did as well. Wouldn’t it be fantastic to tell people you helped to locate a painting that had historical significance plus it was worth over $1 million dollars? Will YOU join in with this national scavenger hunt? Information can be obtained through this blog and emails can be sent to historyiselementary@yahoo.com. I am preparing an email to send to everyone I know. If you would like me to send you a copy of the email so that you can simply forward it without reinventing the wheel please contact me and I will be happy to send it to you. For nearly a half century Irwin H. Hoover was an extremely important man. He had a large amount of power, and knew where the secrets were buried for eight different presidential administrations of the United States. Imagine the conversations he overhead not just from the President, but every Congressman and every diplomat that entered the White House. Hoover went to the White House in 1891 at the request of the Edison Company. His task was to assist in the wiring of the White House for electric lights. This was a very new and untested invention at the time and President Harrison and his wife, like many Americans at the time, were extremely afraid of the effects of having electric lights in their home. It is said the Harrisons were so afraid they didn’t even want to turn the lights on and off. Hoover was asked to stick around to make the transition to electric lights easier. He stuck around for forty-two years. President McKinley appointed Hoover as Chief Usher where he was in charge of making the White House a home for the First Family, oversaw the many items that make the White House a museum of American History, and oversaw all of the official and ceremonial events of the White House. Today, the Chief Usher keeps track of a large budget, chooses the Christmas tree for the Blue Room, and is usually the one seen holding an umbrella for the President as he leaves or arrives at the White House. At some point one source states he was offered $50,000 to tell his stories. He turned the offer down stating, “When I pass out everything goes with me.” Apparently though at some point he changed his mind and did write his memoirs. He didn’t exactly do a “tell all” book, but did leave a wonderful primary source for studies of the administrations he served. Through Hoover’s eyes we see many of the personalities of the Presidents he served and their families. I believe he might be right. Ike Hoover’s picture was part of of a Wordless Wednesday post seen here. Teachergirl has the distinction of correctly advising the identify of Mr. Hoover. Way to go! Well, not only have I birthed a new blog, Georgia On My Mind, I have also birthed a carnival…..The Carnival of Georgia Bloggers. You can find the first edition of the Georgia Carnival here. It doesn’t matter if you are from Georgia or not…..Go on over and meet a few of the fantastic writers my state has to offer. They just may become a few of your new favorites. 1. Who won the first battle of the War of Independence? 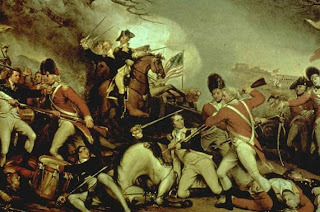 2.On what hill did the Battle of Bunker Hill take place? It took place not on Bunker Hill but on Breed's Hill, on June 17, 1775. The opposing forces were supposed to engage on Bunker Hill, but for unknown reasons the soldiers dug in on the smaller sight, about 2,000 feet away. To straighten things out for visitors, Breed's Hill was later renamed Bunker Hill. 3.What did John Hancock (1737-93) do to earn his place as president of the Continental Congress? His most distinctive contribution to the rebel cause was the money. Hancock was a merchant who had inherited a fortune from a smuggler uncle. He used his wealth to help finance the revolution. He is best remembered now for his flamboyant signature on the Declaration of Independence in 1776. After the war, Hancock became governor of Massachusetts. 4. How many grievances against the king were named in the Declaration of Independence? The document cited 27 separate grievances against the king of Great Britain, George III. These grievances included refusing his assent to "wholesom" laws, making judges dependent on "his will alone," and bringing in foreign mercenaries to wage war on the colonies in a way "totally unworthy the head of a civilized nation." 5. Was Paul Revere of British decent? The Revolutionary War patriot (1735-1818) was only 50 percent British. Revere's father was French silversmith Apollos Rivoire, a Huguenot (Portestant) refugee from the persecution by the Catholic authorities in france. Revere's mother, Deborah Hitchbourn, was of English descent. 6. How cold was it at Valley Forge? Overall, the winter was fairly mild in 1777-78 when George Washington and his Continental Army were encamped at this site 22 miles northwest of Philadelphia. There was heavy snow and freezing weather in Christmas week but a thaw in January. What made conditions miserable was lack of adquate food, clothing, and shelter due to negligence and mismanagement by the Continental Congress and the commissary department. It is estimated that 2,500 of 10,000 soldiers died of disease and exposure during this period. 7. Who was Marie Joseph Paul Yves Roch Gilbert du Motier? He was the French nobleman better known to history as the Marquis de Lafayette (1757-1834). In 1777, at the age of 19, Lafayette came to America to volunteer in the Revolutionary War. Idealistic and adventurous, he was appointed a major-general and helped to secure military assistance from France. 8. Long Island, White Plains, Bennington, Monmouth, and Cowpens are all battles of the American Revolution. Which battles from this list did the Americans win? The Americans won the battles at Bennington and Cowpens. 9. Who was Molly Pitcher? She was Mary McCauley Hays, (1754-1832), heroine of the American Revolution. She entered her nickname during the Battle of Monmouth in 1778, when she fetched water for her husband and his gun crew. After her husband suffered a wound, she took over for him, helping the gun crew do its job. Afget the war, she was given a yearly pension of $40 by the Pennsylvania Assembly. 10. How many countries did the British fight during the American War of Independence? By 1780, the British were fighting not only to the United States and its ally France, but also Spain, the Netherlands, and the ruler of Mysore in India. The conflicts were not all related to American independence, but they did keep the British busy on many fronts, aiding the U.S. cause. 11. What became of British general Charles Cornwallis (1738-1805)? In the U.S., Cornwallis's main claim to fame was his surrender to the Americans and French at Yorktown, Virginia, on October 19, 1781, a turning point that effectively ended the war. But Cornwallis's career of enforcing British imperial rule was far from over. He went on to become Governor General of India (1786-94, 1805) and viceroy of Ireland (1798-1801). 12. Who were the American diplomats who negotiated the treaty that ended the Revolutionry War? Benjamin Franklin, John Adams, and John Jay negotiated for the United States. The Treaty of Paris, ending the war and recognizing American independence, was signed on February 3, 1783. 13. Who was the last surviving signer of the Declaration of Independence? Charles Caroll of Carrollton, Maryland. Born in 1737, he was 95 years old when he died in 1832.